As dominant influences in the areas of mental retardation and developmental disabilities, Normalization and SRV have also affected practice and policy in mental health and aging. 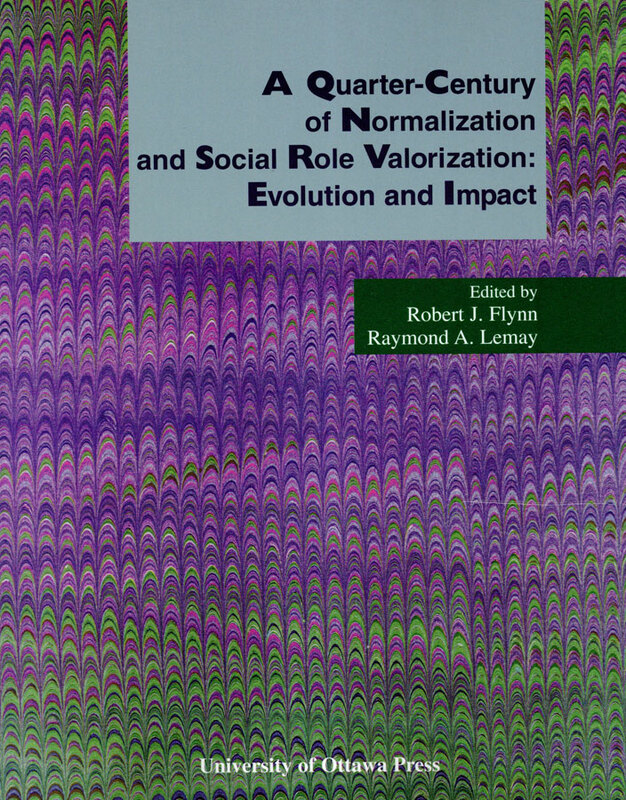 This book is unique in tracing the evolution and impact of Normalization and SRV over the last quarter-century, with many of the chapter authors personally involved in a still-evolving international movement. Bengt Nirje and Wolf Wolfensberger give detailed first-person accounts of the origins of Normalization in Scandinavia and of its establishment in North America. Several contributors provide systematic accounts or critical perspectives on Normalization and SRV, while others furnish up-to-date syntheses of research on role theory, residential services, integration, and the Normalization and SRV-based evaluation instruments Program Analysis of Service Systems (PASS) and Program Analysis of Service Systems’Implementation of Normalization Goals (PASSING). As an appendix, the book also includes a comprehensive 800-item bibliography on Normalization, SRV, PASS and PASSING, covering the period 1969-1999.